New FASB requirements for the accounting for leases was released in February 2016. This course covers the nuances of the pronouncement including the history of the project, reasons for the final decisions, and how to actually apply the new standards. Join presenter Jeff Sailor as he features examples blended with his unique brand of humor through his parody videos. If you want to learn about the new standards without falling asleep, then this is the course for you! Jeff Sailor, CPA, received a master’s degree in accounting from the University of Florida. Upon graduation, he joined the auditing staff at Peat Marwick in Jacksonville, Florida, where he worked on a large number of national accounts. 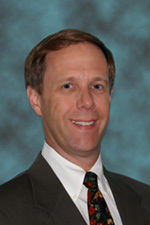 Jeff has managed his own accounting firm in Ocala, Florida, since 1984. During that time, he has also developed unique auditing approaches and auditing software. Since 1992, Jeff has been teaching accounting and auditing courses he developed to combat traditional “boring CPE.” Using a variety of creative teaching methods sprinkled with humorous video spoofs, Jeff is able to combine his in-depth accounting insights with humor in high-energy presentations. He’s also adept at presenting complex topics in a very practical, easy-to-understand manner, thus earning him rave reviews for more than 20 years. Jeff currently presents seminars, webcasts, and in-house instruction for Western CPE. He’s also a featured speaker at national conferences as well as at state and regional meetings. For more than 10 years, Jeff has served as an AICPA peer reviewer, focusing on small firms and sole practitioners. He also served on the Resource Committee for the Private Company Financial Reporting Committee (PCFRC). Jeff has spoken at two NASBA national conferences on how to make education more engaging for practitioners. Recognize the reasons FASB 842 has been implemented, and understand who is affected and when is the effective date. Identify lease contracts and the types of leases. Cite the recognition, measurement, and presentation requirements for both the lessee and the lessor.